Nothing better than some hearty, home-style Chinese cooking after a flu shot. Found another hidden gem in Fairfax. It’s always a good sign when the house special section of the menu is entirely in Chinese characters, with no translation. It’s legit, authentic. Also a good sign if the majority of the patrons are Chinese. Go where the expats go! An important truth of life. 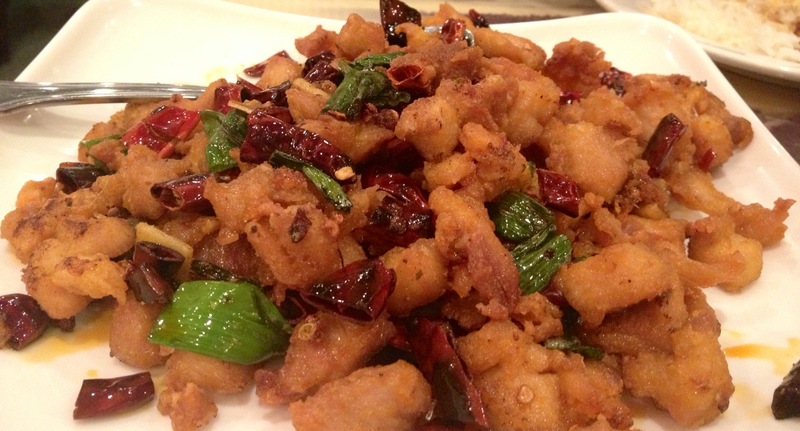 Szechuan chili chicken – crispy, deep fried, tossed with garlic and red hot chili peppers and green onions. 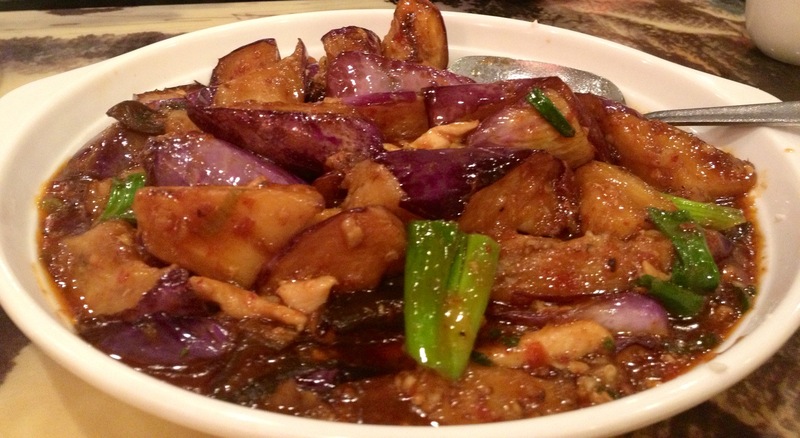 Eggplant – meltinyourmouth soft, simmering in a hot pot of garlicky madness. On my next visit, I vow to order their pig feet in a hot pot, and also their beef tripe dish. This ought to make any flu (or flu shot side effect) go away. Taiwanese is great too, will see if I can check it out!